One year I was working with a group of first graders who were struggling with writing a complete sentence. They were very good at using a capital letter at the beginning of the sentence and ending punctuation at the end of the sentence. However, the middle part of the sentence was a little fuzzy for them. The question I asked myself was, "How do I teach writing a complete thought to first graders?" Instead of typing everything I did, I created a screen cast showing you the Smart Board Notebook I created to go with this lesson. Click the video below for the lesson. I also put up my Notebook file on SMART Exchange, and you can check out the file by clicking HERE. Disclaimer: I know that this doesn't work for every type of sentence, but it was great beginning for us to start writing complete thoughts. To get the sentence graphic organizer and lesson plan I used with the lesson, click the image below. Hi everyone! 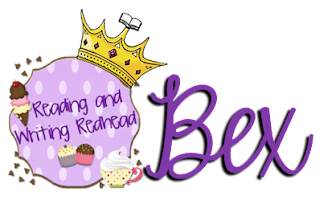 It is Bex here from Reading and Writing Redhead! This summer, I have been engrossed in studying Sheltered English Immersion. In Massachusetts all non-English speaking students need to be enrolled in mainstream English-speaking classrooms (with a few exceptions). ESL instruction might be done in a pull-out setting but the majority of an ELL student's day is spent in the classroom. The state realized that we teachers needed to learn more about effective strategies to meet the needs of those English Language Learners, so all of us have to either take a course or pass an SEI exam. Since I have been thinking so much about SEI lately, I realized many of you have English speaking students in your classroom and it might be the right topic for a post! 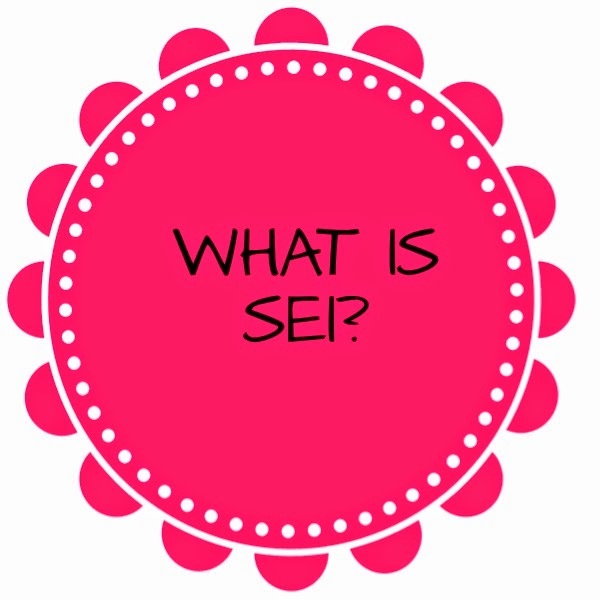 So if you are new to this, you may need to start at the beginning - what is SEI? In Massachusetts, SEI is Sheltered English Instruction. I know in other states, it stands for Structured English Immersion and has slightly different characteristics, but I will tell you what I know. By no means am I an expert- if you want to know more I will give you some resources at the end but if you want to learn more about teaching ELL students in your own state check resources at your school and your state Department of Education Website. Let us know what you learn and comment below. The short answer is that every classroom in Massachusetts that has at least one ELL student is a SEI classroom. 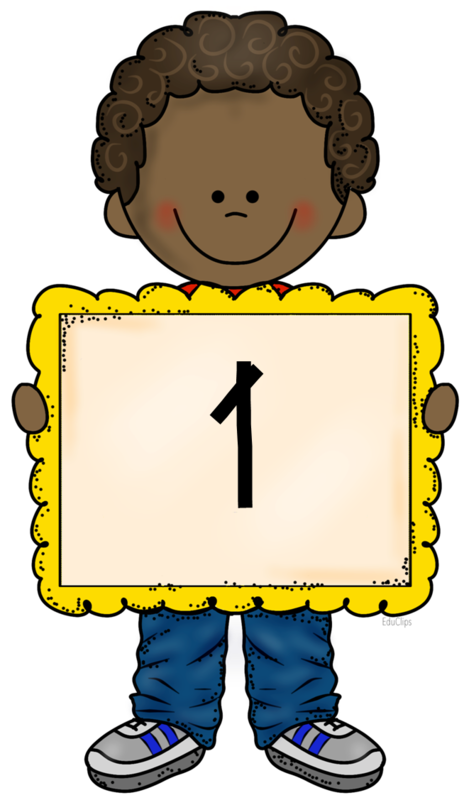 Each SEI classroom must have a Highly Qualified Teacher of English Language Learners- that means the teacher must be certified in ELL, taken and passed the required state SEI course or taken and passed the state teaching exam for SEI. 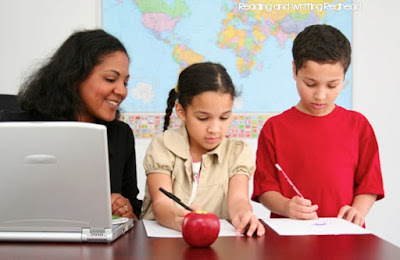 Basically, classroom teachers and school staff who interact with ELL students in any way are learning what are the best practices for teaching these students in the English speaking classroom. I'd love to share with you some of the strategies I learned about being a teacher in an SEI classroom. There was a lot of information I had to learn about levels of English Proficiency and how to assess what level students were and a LOT of information on setting both content and language lessons for every lessons, plus differentiating lessons for students at different levels of proficiency- too much for one blog post. Here are a few tips I picked up on. 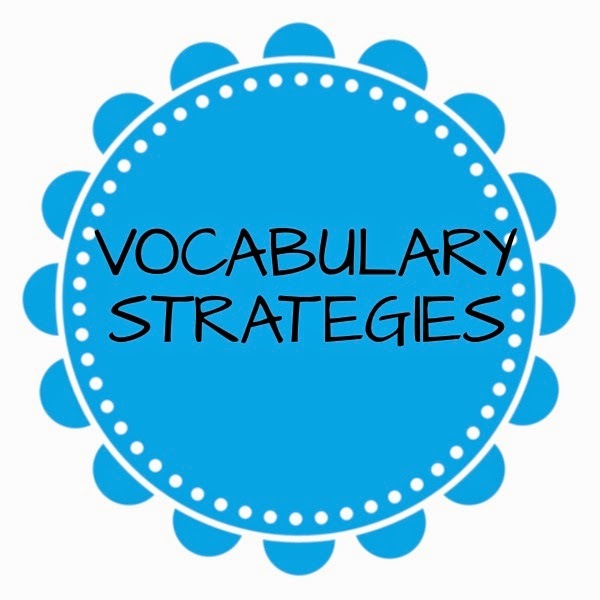 I had done some reading and taken a course in teaching ELL students last spring, and combined with the materials I studied the summer, I picked up on some vocabulary strategies to try when working with ELL students. 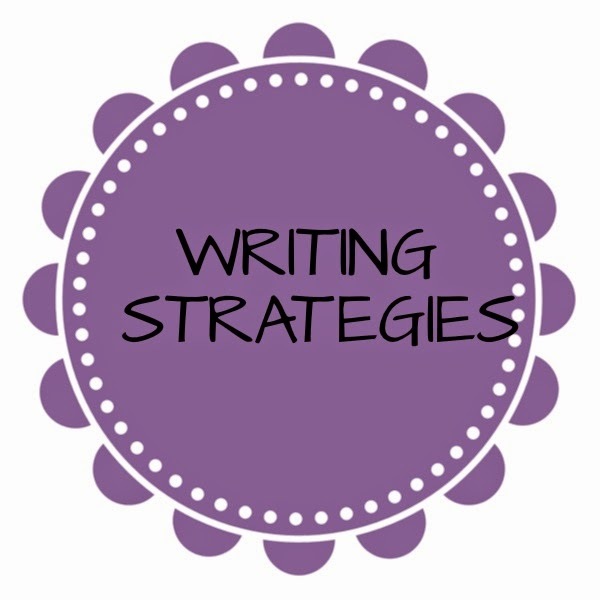 There are a ton of effective strategies and each works best in different situations depending on the word, the content area, the age of the student, and their level of English proficiency. Word Wheels are great to try. 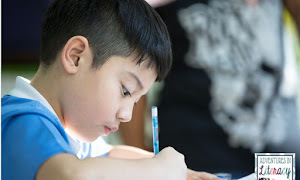 You write the word you are learning in the center and then it is flexible - you can write synonyms, antonyms, word forms, or semantic connections around the outside. Here are a couple examples with detailed directions on Word Wheels: Primary Education Oasis' Blog Post and Widgit.com's preteaching vocabulary brochure pdf. A word form chart was another suggested strategy for teaching vocabulary to ELL students. I couldn't find a good example of it online but, basically you chart a vocabulary word that has different forms (great for verbs - you can do past tense, present tense, etc) and discuss how the meaning changes and how to use each form. A goal of vocabulary instruction is giving students the tools to unlock word meaning on their own and this is a good way to start! Focusing on cognates is a solid strategy to use with ELL students. Cognates are words in different languages that are derived from the same original word or root (for example family - familia and conversation and conversacion). There are tons of words in Spanish, for example, that are cognates with words in English. 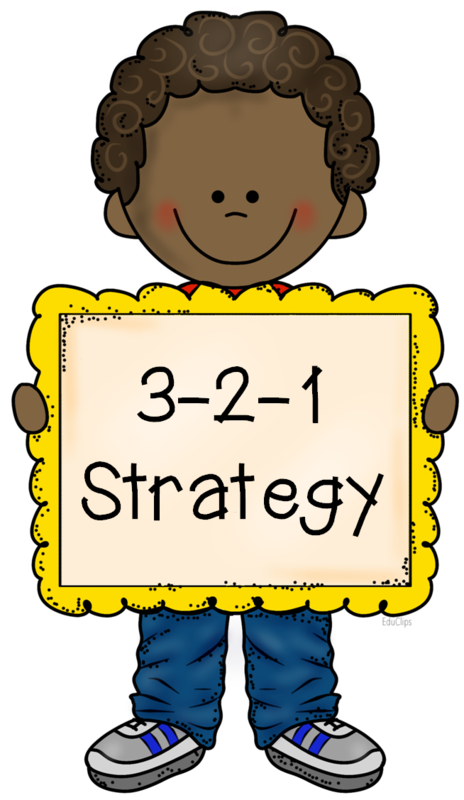 There are many more great strategies. I will provide links below so you can check more out! There are many writing strategies that will support your ELL student. 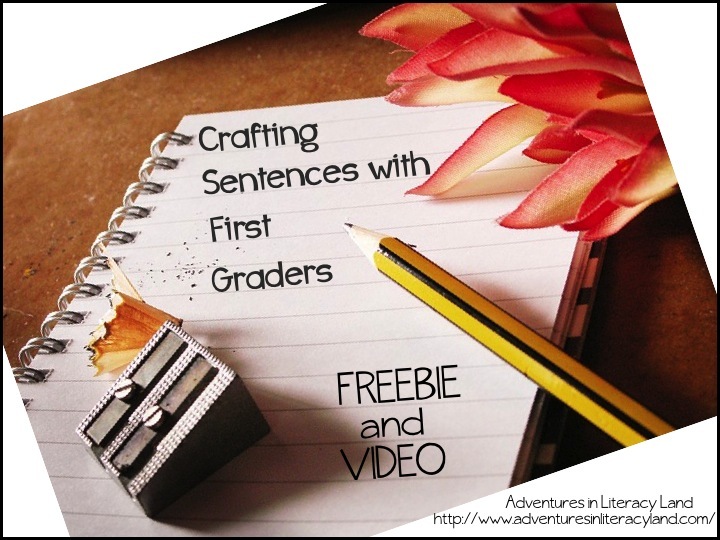 One that would be useful for students with lower English proficiency is sentence frames. Sentence frames are sentences the teacher writes, then removes one or more word from . A word bank can be provided for students with content specific words, for example. So a student who has limited writing skills in English can complete sentences such as: Plants need, ________, air, and light to grow. The _______ of the plant take in water from the soil. The ______ of the plant carries the water to the leaves" and so on instead of having to write an open response stating what they know about plants. I have even more ideas for strategies on teaching reading to ELL students and assessment but I am going to save them for a future post! For now here are some great resources from around the web if you are interested in learning more. Thanks and please comment below and let us know your thoughts and strategies for meeting the needs of ELL students in your classroom! And a thank you to Ashley Hughes for the beautiful frames and Dollar Photo Club! There is significant evidence that learning how to generate and answer questions while reading improves memory, integration and identification of main ideas, and overall comprehension. 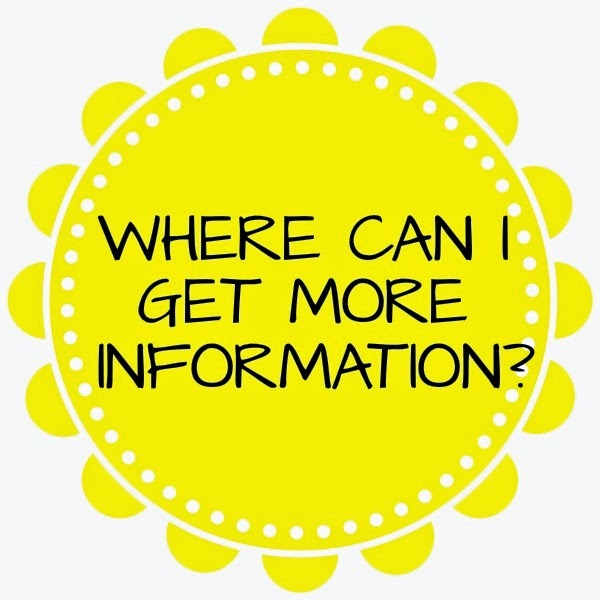 Generating questions helps students make predictions about what they will learn from their reading, focus on the most important information, and read with greater purpose because they are looking for answers to their questions. Generating questions, however, does not always come naturally to students. Some students can generate simple who, what, where, when types of questions, but have difficulty generating the more complex "how and why" questions that require more critical thinking. It is important for teachers to provide direct instruction, modeling, and significant guided practice in how to self-question while reading. A Question Creation Chart or Q-chart is a perfect tool to help students recognize and self-generate a continuum of questions ranging from simple "remember" questions through "understanding" and "evaluative" questions. This chart is especially useful as it can be used with both literature and informational text. After careful teacher modeling, students will use the Q-chart to formulate questions about the text they've read by selecting one word from the left-hand column of the chart (who, what, where, when, how, why) then selecting a word from the upper row (is, did, can would, will, might). 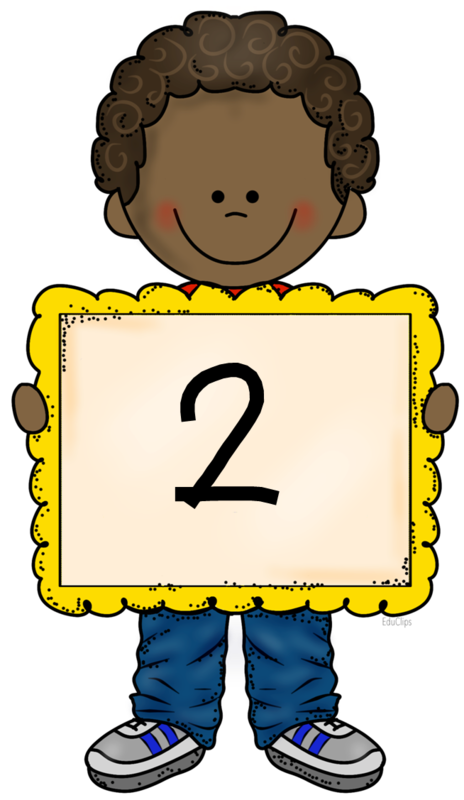 Students locate the square where the question will be recorded and write their "remember" or "evaluative" question. The further down and over to the right students move, the higher the level of critical thinking. It is important to note that this chart can be used before, during, or after reading the text! 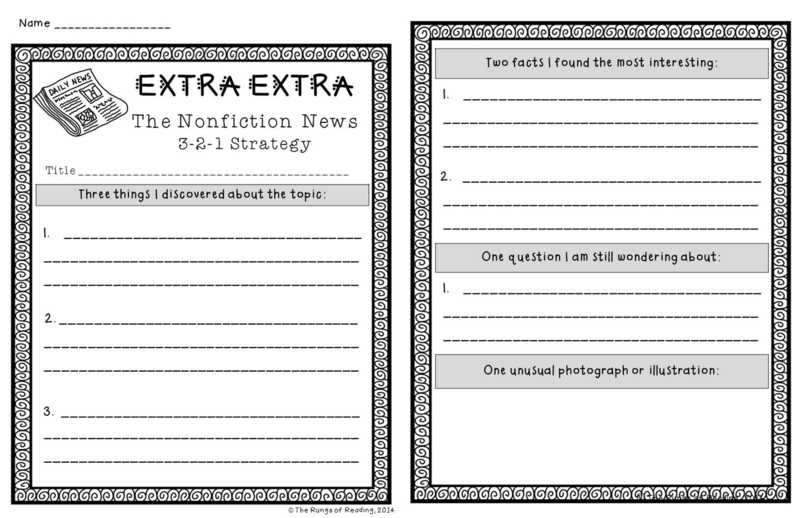 Once students have generated several questions about the text they've read, it is important for the teacher to build in opportunities for student talk. Using think/pair/share or other small groupings, students should share, compare, and discuss the questions they've generated. As students are discussing their questions, the teacher can circulate the room and provide support as needed. 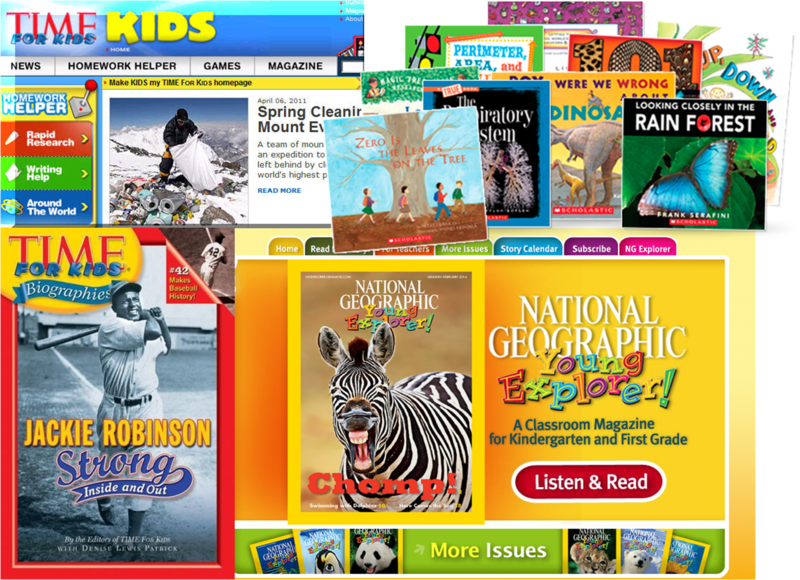 Why is it important for a reader to ask questions and make predictions before reading a text? 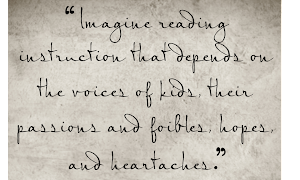 Why do you think good readers ask questions as they are reading? Why do good readers answer and generate questions after they've read a text? Would anyone like to share a question from their Q-chart? Does anyone have a question that wasn't answered in our reading? We hope you enjoyed reading about how to generate questions using a Question Creation Chart. You may begin using this effective strategy by downloading our FREEBIE. **In order to give students sufficient space to record their questions, this chart must be printed on 11x17 Ledger paper. 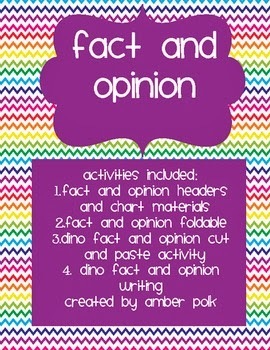 Hi, it's Melissa from Don't Let the Teacher Stay Up Late here to share some tips and a little tool for teaching Fact and Opinion! I don't know about you, but this is a skill that my students really struggle with all of a sudden when they reach 4th or 5th grade. They can tell me the difference between the two and even give me examples. They even THINK they are really good at it and will sometimes say it's easy. But don't be so quick to take their word! I'm going to walk you through some quick steps to teach and review fact and opinion so that your students can be more successful, even when the examples go past, "Yellow is the best color." and "The sky is blue." First, make sure they have a STRONG understanding of what fact and opinion looks like. This means you need to go beyond definitions and help them identify traits and clue words. 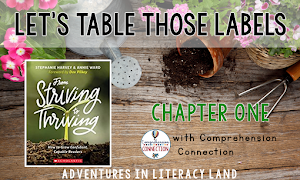 Amber Polk has a great freebie on TPT that I love to use for this. It includes definitions and characteristics that students can sort under correct categories. Then they can also put everything into an interactive notebook to refer back to later on! Click on the picture to find her freebie. 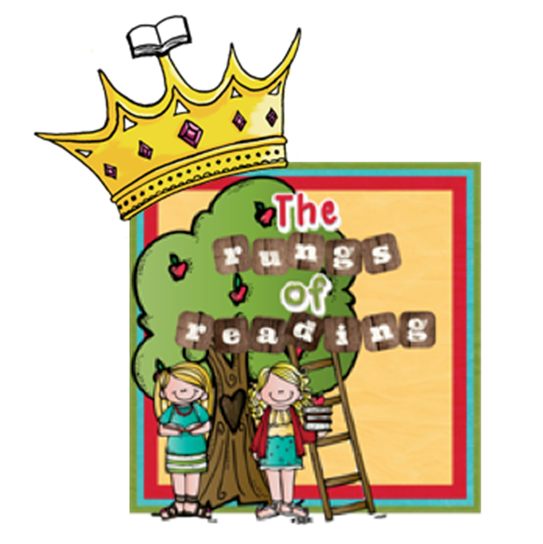 After students understand characteristics, have them begin to identify examples from text they are reading. But don't stop there! Students need to be able to explain why to reinforce their understanding. Have students highlight key words and/or write what traits are present in the sentence (specific event, date, etc). For facts, I ask my students to tell me how they could prove it is true. If the fact says, "More Olympic events take place in the summer than winter", students could say that they would look for a list of Olympic events sorted by the seasons. 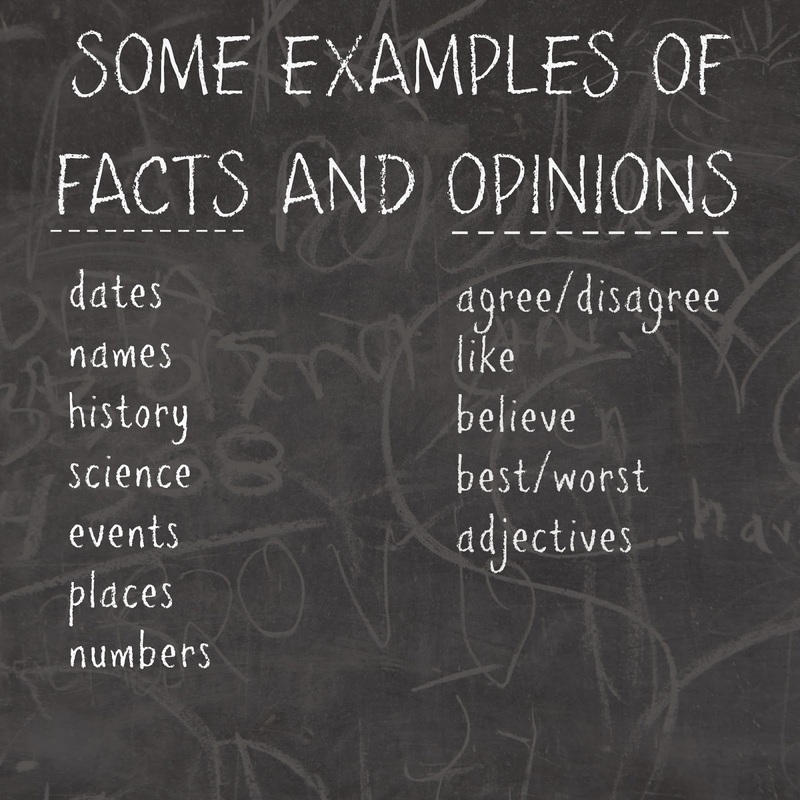 To help students practice proving fact and opinion, I created this simple graphic organizer to share with you. There are two versions: one includes clipart with Si from Duck Dynasty, and the other is plain. I will keep this as a freebie forever, so don't worry about it disappearing on you! What other comprehension skills do you notice students struggle to master?